Putting your ideas, dreams, family home page or business online is pretty exciting. You`re opening up a dimension of your life to the entire world. It`s pretty typical that when someone creates their first, or any, website they know a lot about what they want the site to look like, the content they will have and who their target audience is. However, not many people, if any, have spent a lot of time considering what they want their web host to be like, and so it should be. Here are 10 critical things you should know about finding a web host that will save you time and headaches down the road so you can spend your time enjoying the finer things in life rather than worrying about web hosting. Free hosting: There are 3 things to consider when looking at free hosting. The first is can you accept not having your own domain name, i.e. if the website is http://WebHostName.com/YourSiteName instead of http://YourSiteName is that going to bother you? Second, can you accept the web host advertising on your web page? Third, there are a lot of free web hosts out there that will promise you your own domain name and no advertising but when you read the fine print what they are offering is a free trial offer. Free really is free but make sure you find out the terms free hosting service is being offered on. Shared/Dedicated hosting: Here are a few important cost factors you should check on before you sign with a host. Find out if your host offers a money back guarantee and what their refund policies are, whether there is a requirement to sign up for a minimum period and if your package is scalable. That is, if your site grows will you be able to expand the amount of bandwidth, disk drive space, and email accounts that you are using at a reasonable price. If you are locked in to a year contract with a host and you start running over your transfer limit you can really get killed on over-run charges. Watch out for unlimited bandwidth or space offers. The bandwidth offers usually come with an escalating price scale and the space offers usually don`t include file types like .jpg and .gif files and other large media file types. Sure, it`s unlimited, as long as you`re only storing text! Read up on your host before you choose one. Read the Reviews on HostSearch.com and see what other customers are saying about them. Double check and see what the folks on a good web hosting forum like DiscussHosting.com have to say about them. Then triple check and run a search for their name on Google and check in the groups listings. 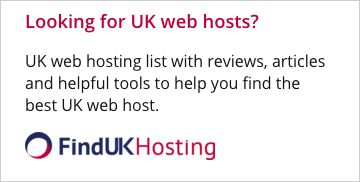 If you check on another web hosting directory or look only at the awards they`ve won on their web site be careful because many times web hosts will pay for this as a form of advertising. It`s a good idea to find out about a web host`s customer service before you sign with them. Make sure they offer 24-7 phone support if you need it. Test their email support as well before you sign up to see what kind of response time they give you compared with what their advertising says. This is a good way to test a web host`s integrity as well. If they promise email response within 1 hour and you wait 3 days to hear back from them you can bet their 100% uptime guarantee isn`t any good either. If your web site is truly critical you may want to find out where the data center is just in case you can`t contact anyone by phone or email. If it`s in your city you can drive over there and get some answers if you need to but if your web host is off-shoring in Sri Lanka it`s not quite so easy. "Bill, grab your bags, we`re sending you to Columbo to reboot the server. And don`t worry about the Tamil Tigers, they just signed a cease-fire with the government." A host should offer the ability to register domain names for you. Ideally your web host will be an ICANN certified domain registrar or be able to tell you which domain registrar they use. Make sure your name, not the host company`s name, is listed as the administrative contact with InterNIC for your domain name. This way you can transfer your domain name to another host more easily. If your host doesn`t provide you with the services they promise and you withhold payment they can hold on to your domain name when you try to transfer it. If the company goes out of business you may also run into problems trying to move your domain name if you aren`t the one registered with InterNIC. 5) Why is my site so SLOW?!? Find out if your host allows adult hosting if you go with a shared server solution and make sure you aren`t sharing a server with one of these sites. If you are on a server with an adult site it will hog your bandwidth. Also ask how many sites you will be sharing the server with. Ask the web host about your security if you plan to be involved in ecommerce. Their security should be multi-layered to protect you from today`s hackers. With DNS poisoning, cross-site scripting, URL hijacking, spam, phishing, and DDoS attacks to worry about they should be able to tell you what they will do to protect you from the network side although it`s not the web host`s job to make sure the code on your site is secure. Many web hosts offer a much reduced monthly rate if you sign a long-term contract with them. You are better off signing a short term contract and upgrading before you make a long term commitment. If you sign a long-term deal and come to find out the host is frequently down you will need to buy out the remainder of the contract before they`ll let you switch to another host. It`s better to take a test-drive and buy the long term deal only once you`re satisfied with your host`s service. Make sure to check out what kind of server access you`ll have and how you will be controlling your site. If you have a web-driven control panel it may not allow you to do everything you need if you are running a complex site or conversely if you just want a simple site with low/no hassle then virtual access to the server and an FTP account may require more technical research than you care to do to get your site going. Before you sign on with a new host run some numbers on what bandwidth and other services are going to cost you. The key here is planning ahead and making sure your agreement with your hosting provider is flexible enough to allow you to expand in terms of space, email and especially bandwidth. As a rough index to figuring out how much bandwidth you`ll need use 10 gigs of monthly bandwidth per 500 daily users you expect. Check out how much bandwidth or speed will cost and think about how much it will cost if your site really takes off. Flat monthly rates are better than usage rates. If you suddenly get an influx of users because of a new product, advertising campaign, or sudden coincidental flood of Google searchers and your usage exceeds your bandwidth usage agreement you may be in for a nasty shock when you get your hosting bill. You may not think you will ever exceed the limit but you may be surprised at what can cause a spike in traffic on your site, for example, HostSearch.com did an interview with GoDaddy.com and we got a huge influx of hits from Google users searching for the GoDaddy girl, Nikki Capelli, after she appeared in GoDaddy`s Super Bowl ad. 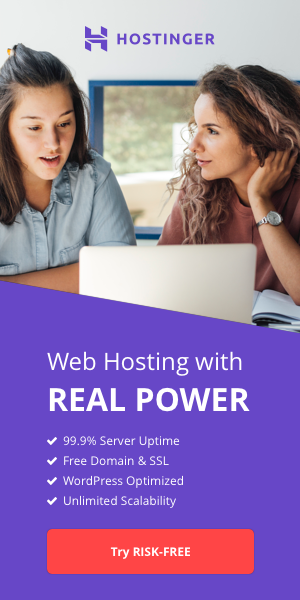 10) How well is your web host connected? How fast your host`s servers are and how fast your site will be depends in part on the connection your web host has with the Internet. Many web hosting companies buy their connections from large backbone providers like UUNET. At the very least, they should have T3 lines. You should ask them how they are connected if speed will be a factor for you. They will tell you something like, "We are using T-1/OC-3 lines." i.e., Web hosting companies typically connect to the Internet through "T" (Transmission), "OC" (Optical Carrier), and/or "DS" (Digital Signal) lines. Many smaller web hosts still use T1`s to connect your site to the world at a rate of 1.544 megabits per second. The biggest and fastest hosts use redundant, multiple OC3 (155.52 Mbps) lines to offer their clients the bandwidth they need for multiple user sessions on their site(s). The best web hosts today use redundant lines to ensure that customers` sites remain up and active, even if their primary Internet connections are temporarily unavailable. It`s a good idea to check which hosts offer backup connections fast enough to maintain your site`s performance in case of a primary line failure. Of course, as with everything, you pay more for premium service. If you are looking for the cheapest possible solution you may want to make sure your web host DOESN`T have 24-7 phone support, OC3 lines, or the latest hardware in their data-center. By following these tips you should end up with a reputable, quality, web host and a hassle-free hosting experience. Good luck.